Amy Zhang was in high school when she wrote her debut novel, Falling Into Place. She has followed this up with another ‘not-put-downable’ book, This is Where the World Ends. Janie and Micah. Micah and Janie. That is how the world should be forever. Two opposites attracted. Janie, the imaginer. The doer. Micah, the follower. The support. They lived next door to each other, bedrooms facing. Janie would slide a shelf between the rooms and shimmy across. They knew each other inside out…best friends, but nothing more. A world unto themselves. Until it all fell apart. Right before the beginning of senior year, Janie moved across town to a bigger house that she hated. But she had no say in her parents’ decision. Although still at the same school, things had changed…dramatically. Janie and Micah’s alternating narrative, the Before and the After, chronicle the disintegration of life, the apocalypse. The Journal of Janie Vivian, words and drawings, embedded in the story, mark the transition from fairy tale to harsh reality. I’d say Amy Zhang is an author to watch, but with two great books to her credit she has already earned our respect. Now it’s a question of waiting…for her next novel. I know I am. Victoria woke up in a white hospital bed. The problem is that she wasn’t supposed to wake up. The night before she took an overdose of sleeping pills that she’d been accumulating. She was found by the elderly Juanita, her nanna, who she deeply loved. This wasn’t the way it was supposed to be. Books about attempted suicide, the post-attempt individual and group therapy sessions and the bonding of the teens in the group are not uncommon. However, put in the hands of Francisco X. Stork (author of Marcelo in the Real World) The Memory of Light is more than a young adult novel about depression. One reason it that it is semi-autobiographical, as per the Author’s Note at the end of the book. Stork was 24 years old when he took 60 sleeping pills in his suicide attempt. That knowledge makes the book more meaningful. Also, Stork has created a diverse cast of characters. Vicky’s roommate is Mona, who comes from a broken home and is searching for her little sister Lucy. She needs meds to control her mood swings. Gilbert hears voices and there is the fear that he is schizophrenic and E.M. has an uncontrolled temper. The contrast in illnesses is also a contrast in life. Vicky seems to have the idyllic life–coming from a wealthy family, having everything she could possibly want, private school, plentiful opportunities. Gilbert, on the other hand, has to help his grandfather with his gardening business because Antonio is getting on in years and can’t do it by himself. Gilbert’s grandmother is showing the signs of schizophrenia that Gilbert is starting to exhibit. E.M. comes from a family in which his father physically abused his mother. The Memory of Light is realistic in its depiction of mental illnesses. In its realism, there aren’t necessarily the happy endings we typically read. However, Stork provides hope to those individuals who accept and treat their illnesses, whether it is depression, schizophrenia, or a myriad other illnesses. Stork implores teens, especially, who know or suspect something is wrong or who just know they are hurting to talk to an unbiased individual or professional, someone who won’t judge them. Mental illness knows no income or educational or racial boundaries. Sometimes the pressures of day to day life in school or at home are too much. I could not put The Memory of Light down. It was that good. Sticks and Stones were Kacey and Sara, ever since they were little kids. One without the other was incomplete. So when Sticks (Sara) wakes up to a phone call telling her that Stones (Kacey) has died, her whole world changed. Was it gossip or true friendship that caused Drea to call Sticks and tell her what happened? In Sticks’ mind it was the former. In When Kacey Left by Dawn Green, Sticks has to come to grips with Stones’ death. In the form of journal entries (letters to Kacey) mandated by the o.c. (obnoxious counselor) who she’s forced to see, the story unwinds over the course of a school year. It begins when school starts and everyone stares at Sara with that ‘her best friend killed herself’ look. It progresses to the re-connection with their friends and more…I don’t want to ruin the ending. But the other thing Sara wonders is whether she could have prevented what happened. Were there signs that she missed? Was Kacey acting differently? If she had done one thing differently, would Kacey still be alive? I imagine that is something everyone who knows a suicide victim constantly wonders. The journal format that Green uses is not new, but it doesn’t feel old and worn out in her hands. Readers get a sense of who Kacey and Sara are; the idealized version of Kacey as Sara remembers in the beginning of the book to the realistic version as she progresses through her mourning process. Whereas many books concentrate on the causes of suicide be it bullying, stress, etc. 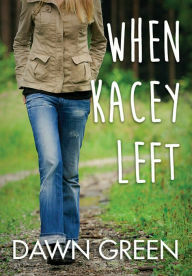 in When Kacey Left the author concentrates on the best friend left behind; the whys and wherefores of Kacey’s action are largely unexplored, except for the wondering why. As satisfying as any book about suicide can be, When Kacey Left is a satisfying read. Twelve year old Suzy (aka Zu) lost her best friend Franny during the summer. Franny drowned while on vacation. However, Zu can’t come to grips with this because Franny was a great swimmer. She remembers when they met at their first swim class when Zu didn’t want to go into the pool and Franny just plopped in and swam to the other side. Zu then did the same and they became fast friends. Her mother’s explanation that ‘things just happen’ doesn’t quiet her mind. But there’s something else bothering Zu as well: she and Franny did not part on good terms. Would it have been different if she had known she’d never see Franny again? Of course, but you can’t change the past. 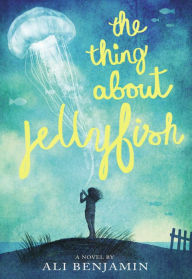 The Thing About Jellyfish is finely written middle grade book about losing a best friend, about being or becoming a loner, about overcoming loneliness and remembering good times. In the process, Benjamin contemplates the changes middle graders (especially girls) go through, how a loner in elementary school might be part of the ‘in-crowd’ in middle school and what she might do to a best friend to maintain her social status and the impact of her actions. And finally, Ms. Benjamin imparts a tremendous amount of information about jellyfish that boggled this reader’s mind: their longevity as a species, their lethal venom, their growing population and its impact on other water borne species and their ability to regress in the face of danger. The Thing About Jellyfish, deservedly, has been getting accolades in all the library journals and The New York Times. It is a tenderhearted story that kids and adults will enjoy. Suicide is the third leading cause of death among people ages 10-24 and approximately 4,600 people in this age category die each year from suicide, according to the Centers for Disease Control and Prevention. However, more young people survive suicide attempts than actually die. A nationwide survey of youth in grades 9–12 in public and private schools in the United States found that 16% of students reported seriously considering suicide, 13% reported creating a plan, and 8% reporting trying to take their own life in the 12 months preceding the survey. Each year, approximately 157,000 youth between the ages of 10 and 24 receive medical care for self-inflicted injuries at Emergency Departments across the U.S.
meet, but so it was with Theo Finch and Violet Markey. Her sister, Eleanor, dies nine months previously in an auto accident for which Violet feels responsible. It was her idea to take the A Street Bridge which can get treacherously slippery at times. Theo is just trying to get away from a broken family, abusive father and bullies at school calling him Freak. It is Theo who saves Violet, not only from jumping but from the paralyzed life she is leading. She refused to get into a moving car and rides her bicycle, Leroy, everywhere. She has stopped writing (she and Eleanor had co-authored a blog). She has disengaged from all her friends. When Finch requested to be partnered with Violet in a U.S. Geography project that will force them to travel around the state of Indiana, she is forced into a car and she is forced to write, to things that will get her on the road to recovery. However, Theo’s issues are more severe. Theo has clearly fallen in love with Violet. She has shown him that there are good days, not only bad ones. And while, in many ways, Violet has saved Theo, the real question is will it be enough. 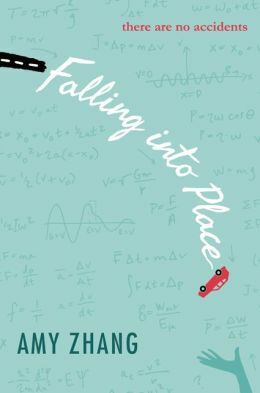 A recent book I would recommend about suicide is Falling into Place by Amy Zhang. In that, you can feel the pain. It is five days before Christmas when Alex’s younger brother, Ty, commits suicide: a shotgun blast to his chest. He had stayed home from school, ran certain errands and, it seems, carefully planned the day. Her mother is coping by going to work, coming home, having a glass or three of wine and crying. Her parents divorced several years ago and, while Alex sees her father weekly for dinner, the time is taken up with idle conversation, so his emotions barely play a role in this book. Alex is barely coping herself. Alex’s therapist has suggested antidepressants to which Alex is vehemently opposed. So, instead he recommends that she keep a journal as an outlet for her emotions. Possibly direct the entries to someone in particular, and describe firsts and lasts. Both Alex and her mother often seem to find themselves in Ty’s basement bedroom. On one such visit Alex thinks she smells his cologne and sees him leaning against the wall. On another visit she finds a letter in a desk drawer addressed to Ashley, his former girlfriend. She and her neighbor (and former best friend), Sadie, debate the merits of giving the letter to Ashley. Sadie is addicted to shows about mediums and thinks Ty’s appearances are due to unfinished business which Alex must complete. For some reason I feel like I’ve read a similar book recently but I can’t remember the title. In it as well as The Last Time We Say Goodbye there is a letter to a former girlfriend left by the suicide. (If you have any ideas, let me know.) Of course the letter has a cathartic impact on the recipient. As I imagine is the case in most suicides several people feel they could have prevented Ty’s actions, when truth be known, most of the time those last actions would have been too late. That is a hard lesson to learn and accept. Additionally, everyone reacts differently to loss of a loved one, which is evident in The Last Time We Say Goodbye. As the book jumps back and forth between Alex’s journal, present day and recollection, it concentrates on the survivors, and less so on why Ty did what he did. There are vague hints, but nothing that over time would suggest suicide as being inevitable. This might have put everything in a better perspective for the reader. 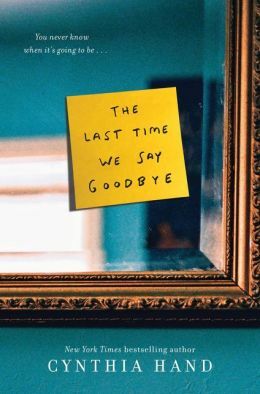 Having said all of this, I found The Last Time We Say Goodbye a good read. I liked the characters, although, as I said, you don’t get much of a feel for Ty. The emotions seemed real. The interaction between Alex and her friends and family is understandable. And hey, it has as happy an ending as a book about suicide can have. 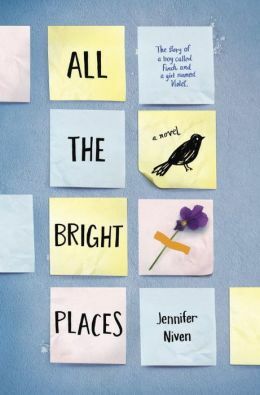 I must be in my ‘reading suicide’ phase because I just started All the Bright Places by Jennifer Niven, which starts off with a teen thinking of suicide. So, I think after this, I’ll move on to a happy book. Any suggestions? There are books that you don’t put down because you are obligated to read them, either because of a school assignment or a journal review, which was the case with the book I read before Positive: A Memoir. 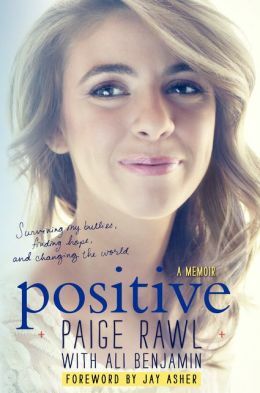 Then there are the books you don’t put down because they are so good or so absorbing you want to/need to keep reading, which is the case with Paige Rawl’s story of the middle school bullying she faced and overcame because of her HIV+ status. At the age of three, Paige and her mother were diagnosed HIV+. Her mother contracted it through Paige’s father and passed it on to her. Their lives would never be the same. There was the regimen of pills to counteract the HIV, and pills to moderate the depression and loss of appetite caused by the medication. But that was their lives and Paige knew nothing different. To her, her disability or illness was no different than someone with asthma or allergies. So when she mentioned it to her best friend, Yasmine, in passing (“everyone has something”) the reaction was so unexpected. Within minutes, this knowledge was spread to other students who lost no time in ridiculing her, calling her Ho and PAID, telling her she has AIDS and making life miserable. We all know the impact of bullying on teens. We read it in the newspapers all the time. Teen suicide is on the rise. Cutting is becoming more prevalent. It was no different with Paige. She went through all these emotions. We also know that schools are ill equipped to counteract bullying, as was Paige’s school. One counselor told her to ‘just don’t tell anyone you’re HIV+”. Another told her “to cut the drama”. She was unable to get satisfaction through our legal system as well, unable to get a trial in order to make her situation public. Luckily for Paige, she was able to overcome this. She had a very supportive mother and some great friends who stood by her. Listen, in my mind, bullying doesn’t even have to be directed at a person. Even commenting amongst ourselves is a form of bullying. If you see an effeminate man and make comments to your co-workers, that’s a form a bullying. If you see a man dressed in women’s clothing and whisper, that’s a form of bullying, only because you are not seeing what’s inside that person and you’re denigrating him. And what’s the next step you might take? Openly commenting? Positive: A Memoir is a low key, eye opening book. Paige is the exception to the rule. She ultimately chose to be an anti-bullying activist and tell people her story. Most young adults aren’t able to make that leap. Most suffer alone, afraid to tell an adult or having told someone, watch as nothing is done, no or minimal action taken. With an Introduction by Jay Asher and a list of resources and facts at the end, Positive: A Memoir is a quietly powerful book.